North Yorkshires leading Mobile Caravan & Motor-Home on site Service Technicians. KDR LEISURE (Mobile) Ltd operates under the N.C.C Approved Workshops Scheme for Mobile Caravan & Motor-Home Repairs and Servicing. We cover a wide area of Yorkshire providing a fully insured professional service. 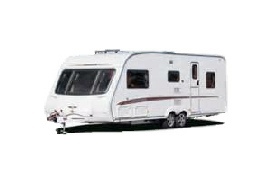 We have over 25 years experience of the Caravan industry. In order to meet all current safety regulations the Technician carrying out your work will have all the appropriate Qualifications. These will include ACOPS and Electrical . For more details click on the “Approvals & Qualifications” tab. Our service vehicle is fully equipped and we can carry out most repairs on site. We also carry most common spares. ON HOLIDAY - IN STORAGE - AT HOME. We also have Indoor Storage available for Caravans & Motor-Homes.